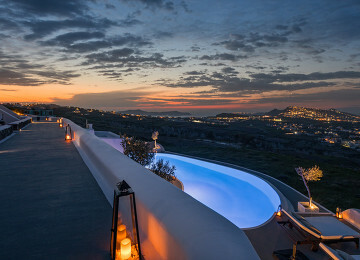 Teetering from dramatic cliffs over an impossibly blue lagoon, Santorini’s whitewashed villages hide secluded villas, quirky boutique hotels and blissful plunge pools, all within easy reach of the island’s black, red and white volcanic-sand beaches. Time your visit for the Santorini Jazz Festival in July or for the eye-popping firework finale of the Ifaisteia Festival in August. For balmy weather without the cruising crowds, visit in the spring or autumn. Santorini’s tomatoes burst with Mediterranean flavour. Sun-kissed and lovingly left to ripen on the vine, they feature on the island’s menus in anything from thick tomato fritters to piquant tomato pastes. Book a table at award-winning Selene for expertly roasted lamb served with a generous helping of fresh-from-the-fields veggies, or head to Ammoudi for the catch of the day, right on the bay. A tour of the island’s wineries reaps rich rewards: Santorini’s vineyards have been around since ancient times and still produce vintages in the Italian tradition. Santorini’s diminutive capital, Fira, has a thriving evening scene with vibrant clubs and quirky bars, but you’ll find plenty of inviting vintners, late-night beach shacks and contemporary cocktail bars tucked away around the island. Music lovers rejoice: Santorini’s Jazz and International Music festivals draw in world-renowned performers year after year. 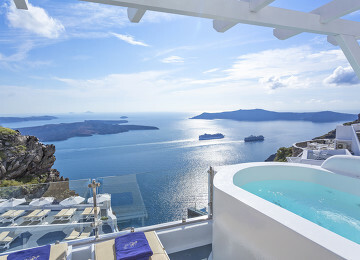 Known for its dazzling sunsets, Oia is a treasure trove of luxurious boltholes; suites here come with private hot tubs and caldera views. 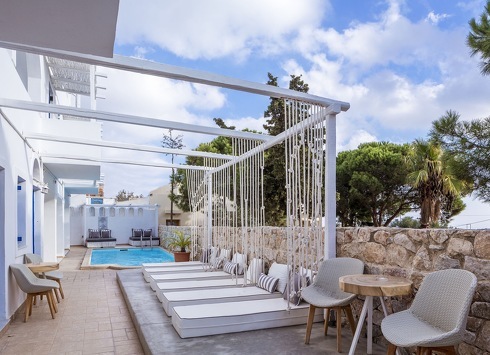 The whitewashed hilltop village of Imerovigli is equally delightful: expect style-savvy boutique hotels with sweeping sea-and-island vistas. 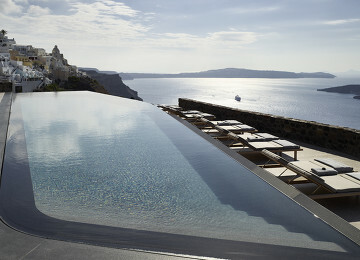 Santorini airport serves year-round flights to Athens and seasonal flights to many European destinations. Ferries from Athens to Santorini are also available, but book in advance as they tend to be popular. Santorini is one of the most beautiful Greek islands you can visit, offering sights and views like nowhere else, and surrounded by the glistening blue waters of the Aegean Sea. After visiting the island once, you’ll want to return time and time again to our boutique hotels in Santorini – it never disappoints.